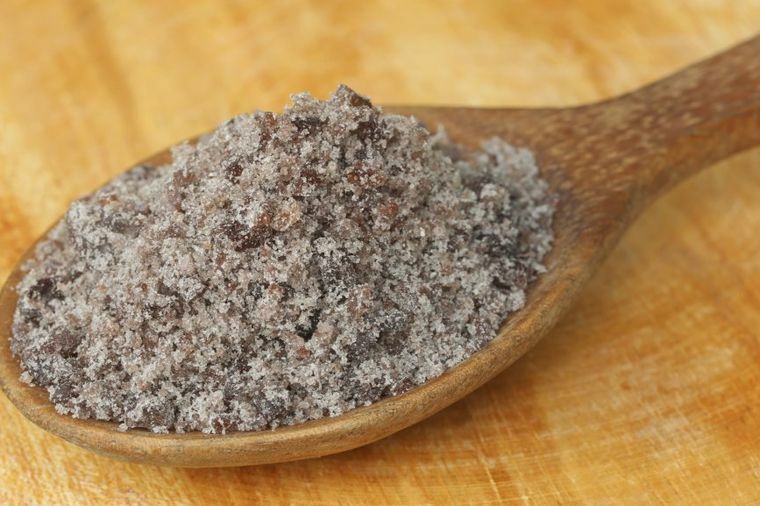 What are the Health Benefits of Black Salt? Black salt or otherwise called Kala Namak or Sanchal is a special type of salt obtained on the volcanic fields of India and Pakistan. It is considered as one type of rock salt. The color of the black salt is not black, but purple and has a distinctive smell of boiled eggs, due to the content of sulphur. What is the application of black salt? It is mostly used in Indian cuisine as a cake for cooked meals, salads. In the Western world it is also used in the diet of vegans, vegetarians and macrobiotic nutrition, as a substitute for eggs or meals that require the use of eggs.